America’s favorite game is now offered in a Wimpy Kid version. Includes new Wimpy Kid rules and features an exclusive 50-word dictionary. 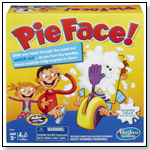 Includes game board with Greg and the gang from the best-selling book series. Players 2-4. A steady hand is required to remove the shaped pieces in this game. Players must think critically, remove pieces carefully without causing the trap to move. Assists with fine motor control and visual spatial development. Contains 63 pieces, game board, 6 game cards, replacement band, and complete instructions. In Don't Tip the Waiter Splash, players take turns stacking cups on the three-dimensional floating waiter's tray. But they have to be careful, because too many cups will tip the waiter. If a player makes the waiter drop the cups into the water, they're out. The last player standing wins. This pool game is ideal for 1-4 players. Inch Worms™ is the measure, matching, worm-catching game that will have children checking to see if their worm measures up. Players spin the spinner and pull the worms from the board one segment at a time until their color is revealed. Some worms may be long and some may be short, but they will never know until they pull. If they free a worm, it's theirs to keep. Once the last worm is pulled, players line up all their worms and the longest Inch Worm wins! The game board turns into a handy storage case that eliminates lost pieces and makes clean up a snap. 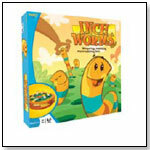 Inch Worm™ is designed for 2-4 players, ages 4 and up. In this game, everyone plays the role of detective and suspect. At the beginning of the game, each player blindly draws a card from the deck, and the character on the card becomes their secret identity. The dealer deals the cards and roll the dice to set up the crime scene. Players can “solve the case” by matching their six fingerprint cards to the six fingerprint dice, and can "tamper with the evidence” by drawing a new card, or re-rolling one of the dice. In this game, three to eight players get the chance to be seriously rich but must beware of the Taxman. Participants fiddle in finance, dabble in real estate, or make millions in movies, and should be clear thinking, quick of hand and shout the loudest. There is no set order of play. Players simply shuffle cards according to the number of players, deal, then shout or trade their way to build up a full set of cards and make a billion dollar fortune. In Mouse Match, mischievous mice race through tunnels to chase their cheese to victory. For two to six players, the game includes a board, six mice, cheese slices, a bag and instructions. — Mouse Match was a top-10 best seller at RoundTable Toys in Winterville, N.C., at the end of 2009, according to David Davis, owner. 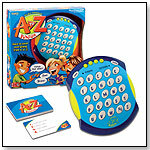 Players will need to know more than their ABCs to play Electronic A to Z Jr. In fact, they'll need to be pretty quick with the entire alphabet, including those pesky XYZs. Players have 30 seconds to list as many different answers for a specific category as possible. Each answer must begin with a different letter of the alphabet. Players turn off letters on the electronic board for each correct answer. The first one to turn off all the letters on their board wins. It includes an electronic game board, A to Z Jr. category cards, and instructions. Launch date: June 2008. In this challenging and fun rapid-fire electronic word game, the object is to make words from a series of displayed letters against the time constraints of a ticking bomb that is being passed from player to player as they wrack their brains for the right word. This adult social game tests players’ knowledge of friends, family and themselves with such questions as, “Do you think you’re attractive?” and “Have you ever lied about your age?” The ballot box is private, so players maintain their privacy on personal matters. Players vote yes or no, and the one who can best predict the number of yeses, wins the game. In Blackout, players drop dice into the package top, then rumble, tumble down a chute. If any number on the dice matches numbers on a player’s cards, it’s a blackout! Players try to be the first to black out the final number on five different cards. The fun is in the roll, but strategy is key in this rolling bingo game for the entire family. Launch date: 2009. 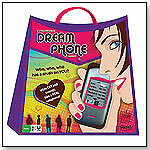 A new generation of girls can now play Dream Phone, the electronic game which is being re-introduced by Fundex Games. Dream Phone includes a modern cell phone component with exciting new features including text messaging. To play Dream Phone, players use deductive reasoning, based on clues they receive by calling different boys, to determine which of the 24 dreamy boys is their secret admirer. Dream Phone is ideal for girls, ages 8 to 14. Relaunch: 2009. 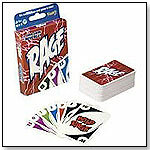 RAGE™ starts with ten cards. Then hand by hand, the number of cards (and options) reduces until at last, you only have ONE card. Players record the number of tricks they plan to take each round; scoring points for their accurate bidding. Sound easy? The outRAGEous action cards will keep you guessing. Includes 108 cards and instructions. "Rage is a classic card game that originated in the 1980s that Fundex has brought back to market," explained Katie Hemlock, marketing specialist at Fundex Games, Ltd. "Rage is a trick-taking game that is always changing. 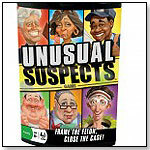 This game will keep families entertained while enjoying a NEW card game." Launch date: 2/1/2007. Crack the Code and Score the Gold: Only a true mastermind could pull off a caper like this. One vault door is the only thing standing between you and a much-deserved treasure. Will you play your cards right and be the first to open the vaunted vault? It’s a game of numbers as you use special Tool cards to beat your opponents and crack the code. So don’t play it safe. Get crackin’ and bust those codes. "This is a NEW card game that is fun for both parents and children alike," said Katie Hemlock, marketing specialist at Fundex Games, Ltd. "The action cards in the game give players a leg up on their crafty competition, including The Master Key, Double Cross, Thieves’ Curse. And the Bamboozled card will really toss a monkey wrench in their plans." Launch date: 2/2/2009. Ten easy-to-understand phase cards help children identify what they are collecting each round. Scoring is simple: The first to collect what is shown on their phase card wins. Clear colors, numbers, shapes and kids' favorite "Sesame Street" characters make collecting easy. There are two levels of play: younger kids match three things, and older kids match four things in classic Phase 10 play. "This game expands on the worldwide popularity of Phase 10 and brings the game to a younger audience. Children love the "Sesame Street" characters, which during game play help them to learn colors, shapes and numbers," Katie Hemlock, marketing specialist for Fundex Games, told TDmonthly. Launch date: April 2008. The fast-playing adult social game features five categories: humming, charades, word relationship, seven-word clues and the big question. It’s a mix of acting, guessing and thinking. The game includes 40 action and category discs, two die, a 30-second spin timer and instructions. Launch date: June 2008. Teams race the clock to come up with one answer for two different sentences. For example, the word “roof” is both part of a house and the noise a dog makes. The team with the most correct answers wins. The game includes five score markers, a timer, category cards and instructions. Launch date: June 2008. Players race the clock drawing items in a given category and then try to determine which of their partner’s drawings actually matches theirs. The team with the most matches wins. The game comes with category cards, sketch pads, pencils, die, spin timer and instructions. “These games are perfect for people on the go and have busy schedules,” Fundex Games Ltd. Marketing Specialist Katie Hemlock told TDmonthly. “They play in half the time and are twice the fun.” Launch date: June 2008. In this game of disc golf, the movable goal can be set up anywhere, with players customizing their own courses to fit their skill ranges. Players fling their discs from long-range distances and putt from short ranges. Nine flags distinguish the holes for a full game of flying disc fun. The game includes a portable fold-up goal, two discs, nine number flags, a storage bag and instructions. Launch date: April 2008. The classic lawn game has returned for more backyard fun. Players take turns tossing two safe Jarts into the target ring 35 feet away. Score a ringer and nab three points. The player closest to the ring earns one point. This aerodynamic take on Horseshoes is guaranteed to save backyard barbecues, one toss at a time! Includes four Jarts, two target rings and instructions. This product is a 2008 iParenting Media Award winner. Launch date: January 2008. Old school meets new school in this modern take on hop scotch. No game has to ever be the same. Players can even change the course after jumping and add movements like a 360° or touching the ground. Take Hop Scotch to the next level and make each game more challenging and fun. Play can be adapted for all ages. Includes 22 hip hop mats and instructions. Phase 10 Twist is a wickedly wild board game of risk, reward and terrific twists. Based on one of the world’s best-selling card games – Phase 10, players complete rummy phases to move around the board. Players landing on the unique TWIST space mush make choices which if successful, can offer big rewards or failure. Three discard piles increase strategy and speed of play. To win a player must complete one of 10 brand new phases! It’s twisted from start to finish. Includes game board, discard and draw card tray, two decks of Phase 10 cards, 1 deck of Twist Phase 10 cards, Twist Phase 10 card holder, 6 player pieces and instructions. Blast-off into “Hog Heaven” and make the impossible; possible in the game “When Pigs Fly.” Keep the kids squealing for hours when pigs are launched out of a cannon high into the sky, soaring in the clouds. On each turn, players send a pig flying, add a pig to their pen, or give one of their pigs to another player. The first person to get rid of all their pigs is the winner. Includes 12 pigs, motorized spinning game board and instructions. The Gold Rush Boom and Bust Game! If you draw a ?donkey goes wild!? card, the donkey bucks it?s legs to knock down one of your opponents? buildings! This wild action is sure to keep you on your feet! Players build up the town during the Boom and the town goes broke during the bust. The player with the most assets when ?the gold runs out? card is drawn wins!